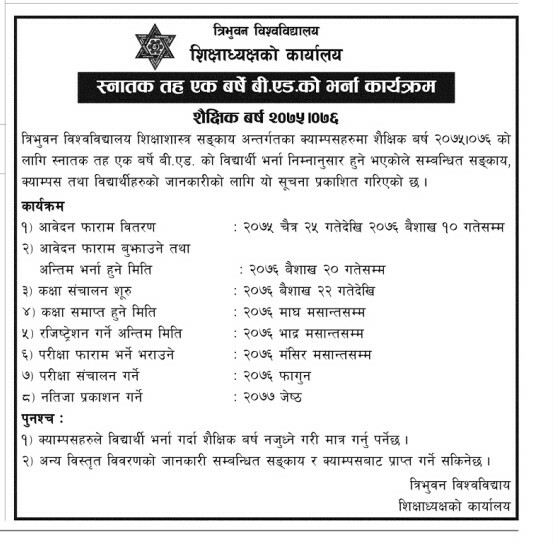 Tribhuvan University, Faculty of Education announces admissions for One year Bachelor of Education (B.Ed). Students have to apply on each campus where they want to get enrolled. While applying students have to submit recent passport size photograph and photocopies of Transcript and Character certificate.